Today’s episode will appeal to the young at heart and the old lady in all of us! Join hosts Graham and Kirsten as we talk frankly about some of the things we’ve “aged out of”, other things that we definitely haven’t, what we probably should age out of, and what we haven’t quite aged into. We may have been best friends since college, but we’re not the same women we were when we met in our teens. Today we’re chatting about how we’ve grown out of some of our old ways, what we’re still clinging to, and the old lady things we see (often excitedly!) coming on the horizon! Plus, Graham’s love of arthritis creams, Kirstens fear of frozen yogurt toppings, and what constitutes a classy scarf vs. a trashy scarf! Also… this episode had TONS of great deals for our listeners so be sure to check the sponsor spotlight for coupon codes! O’verlays®: Transform Your Furniture and Your Home! The team at O’verlays® can even design custom O’verlays® for your project. If you don’t see a design or pattern you want on their site, they will try to create it for you! 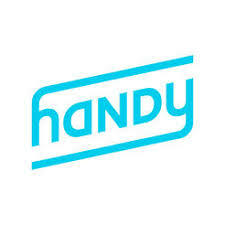 Handy.com: The Most Reliable Name in House Cleaning! Handy is the easy and convenient way to book home cleanings on a schedule that works for you, right from the app or website. You can compare profiles and read real customer reviews to find the perfect pro for your needs. All of Handy’s services are backed by the Handy Happiness Guarantee. With Handy’s clear, upfront pricing, what you see is what you pay and nd you can pay securely on the app so there’s no need to worry about cash or checks.